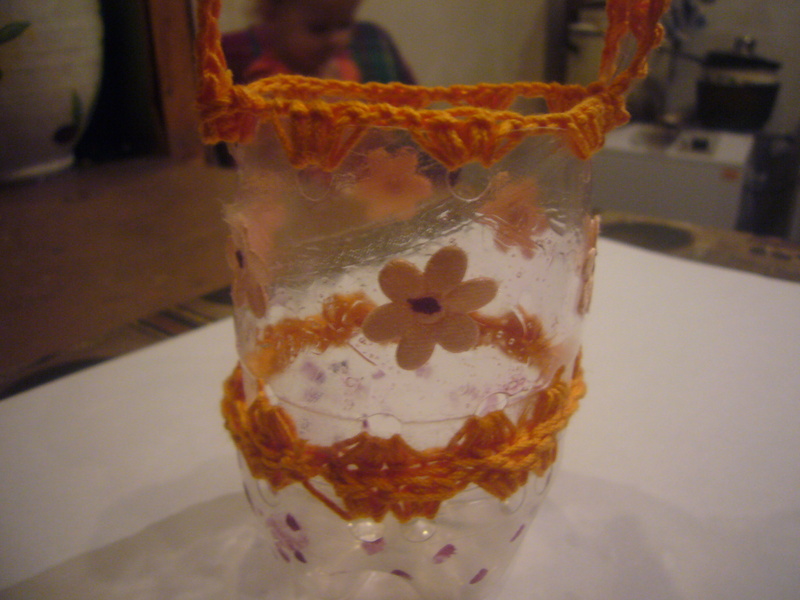 Water bottle crafts are great because they are easy, cheap and green. You upcycle things and give them new decorating your house or making handmade jewelry. 1. Cut the water bottle. I cut off the bottom and then the middle part ringand a slice of plastic for the handle. 2. Prick the holes in the bottom top edge, on both edges of the middle part ring and in the middle of the handle slip. 3. Crochet all parts of your bottle around separately. You get three pieces crocheted on the edges. 4. 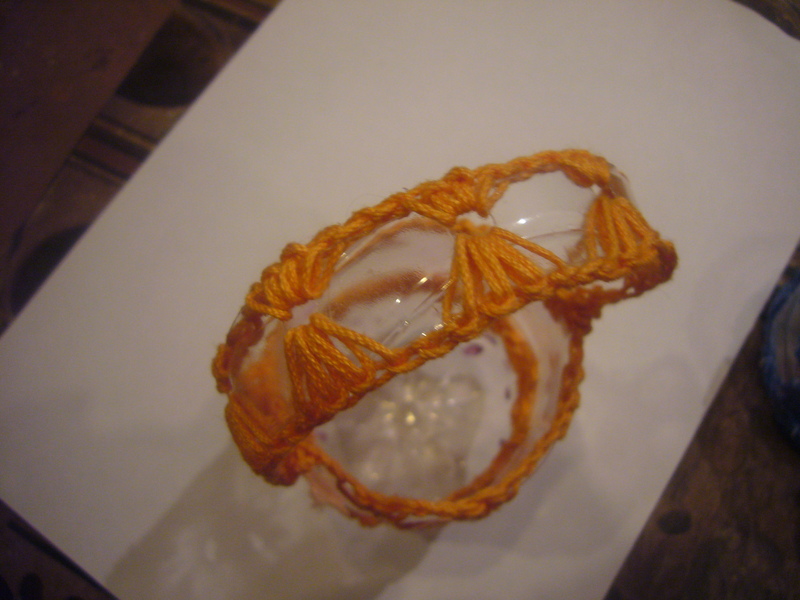 Crochet together the bottom and middle parts and attach the handle. 5. I have made dots with the nail polish on the bottom parts and glues flowers onto the middle part of the water bottle basket. You may decorate your water bottle projet in any way you wish to. The good thing about water bottle crafts is that your imagination and creativity is your only limit there. 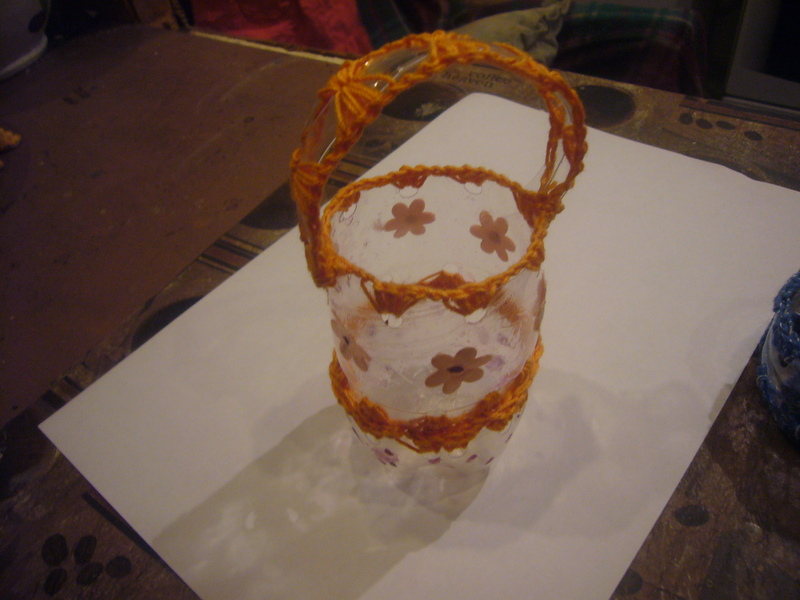 This entry was posted in Crafting Tutorials, Crocheting and tagged crafts, creative tips, creativity, crocheting, DIY, green living, handmade, home decor, housekeeping, plastic bottle, plastic bottle basket, plastic bottle crafts, repurpose, upcycling, water bottle, water bottle crafts. Bookmark the permalink.